Displays more than a hundred thousand points of interest throughout the country, including restaurants, lodging, attractions, petrol stations and shopping. The file size of this download and space required on device or microSD™/SD™ card is 150 MB. If this download does not fit on your device, data may be saved on a microSD™/SD™ card (recycled microSD cards may be used to program map data). Please note, these full-version maps DO NOT contain premium content such as Lane Assist and Junction View. These features only are available on the preloaded maps within your device or through a specific update for the mapping region of your device. This product may be unlocked and used on 1 compatible device. If you want to use this same map on subsequent units, you must purchase a new map for each device. Data downloaded to a microSD/SD card is associated with the device you select during the download process. Please purchase additional quantities for additional devices. Map downloads are non refundable. Check Compatible Devices before purchasing. A card reader and microSD/SD card are required to download mapping to the following Garmin devices: eTrex® Legend Cx/HCx, Vista Cx/HCx, Venture Cx; GPSMAP® 60CSx/60Cx; GPSMAP 76CSx/76Cx; Rino® 520HCx/530HCx; Astro® 220; StreetPilot® 7200/7500 (Not all devices are compatible with all downloads. View the Compatible Devices tab for compatibility with this product). Not for use with dial-up Internet access or satellite Internet providers. Actual download speeds may vary. You have 1 year from your date of purchase to download this file from your myGarmin™ account. The download process requires you to install the free Garmin Communicator Plugin on your computer so we can communicate with your device. Note: The download is installed directly to your device or microSD/SD card and is not accessible on the computer. Not for use with dial-up Internet access. 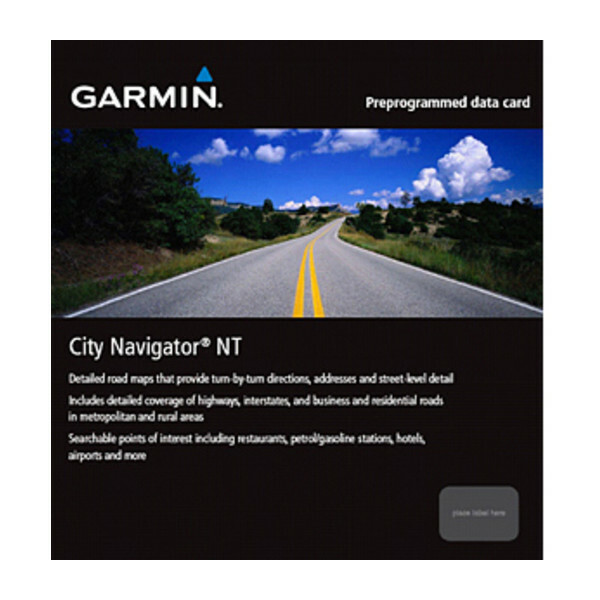 To view and use the maps on this card, you must have a Garmin device with a microSD/SD card slot. Maps on microSD/SD cards cannot be copied or viewed on a computer. 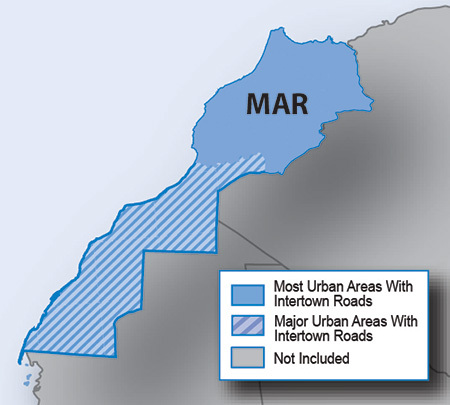 Includes more than 107,400 km (66,700 mi) of roads, including motorways, national and regional thoroughfares and local roads, in Morocco. Displays more than 134,000 points of interest throughout the country, including restaurants, lodging, attractions, petrol stations, shopping and more.